The Four 6666 Ranch is a huge historic ranch located across three counties in Texas. They breed black angus cattle and performance racing horses. 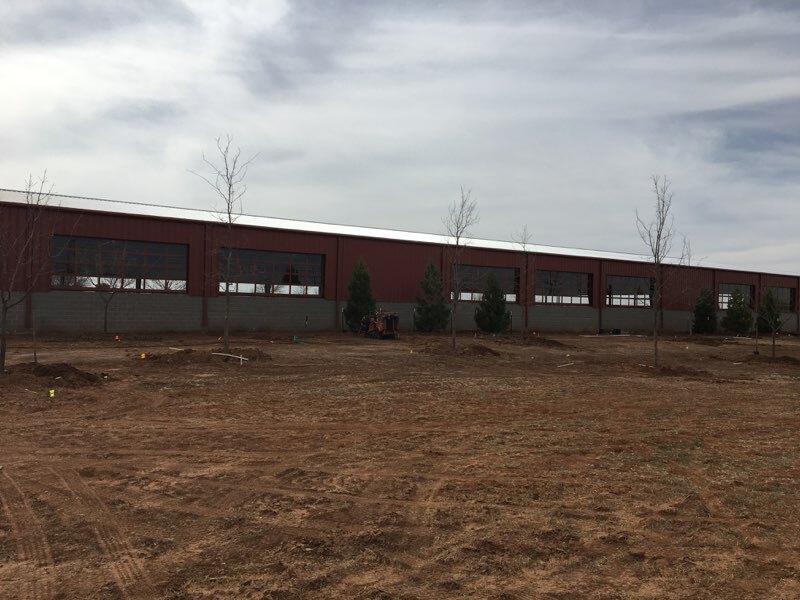 They recently had a new building constructed to allow visitors to easily view horses and cattle for purchase in which Overhead Door Company of Lubbock was proud to be a part of. 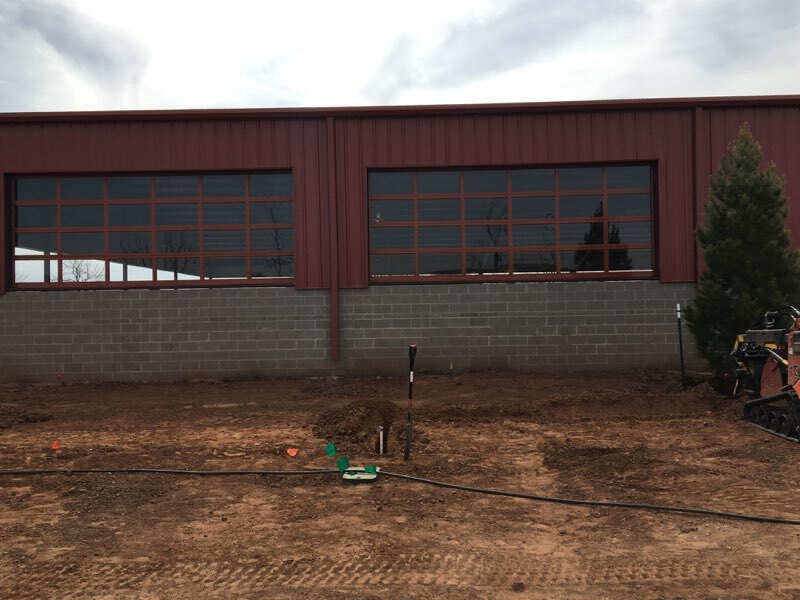 This new building features our glass aluminum doors around the perimeter of the building which provides extra sunlight into the building while also giving the ranch the ability to open the doors on nice weather days. 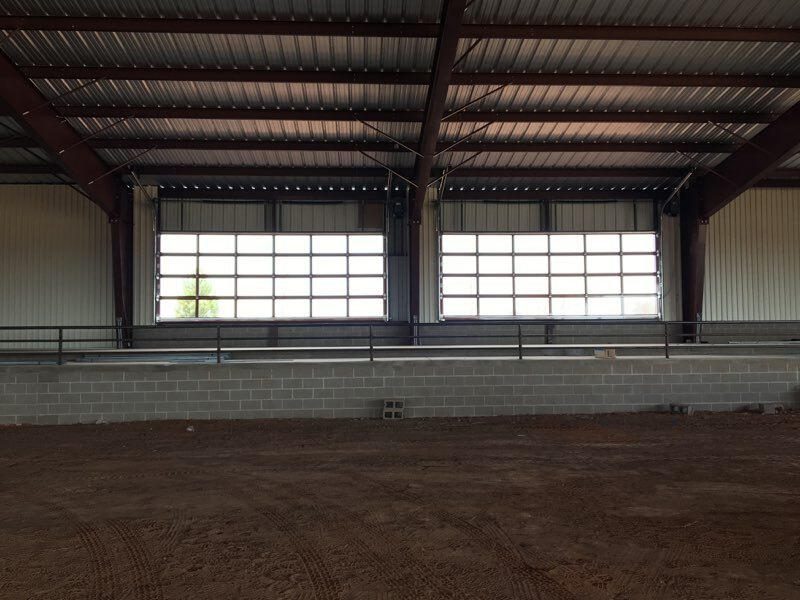 These beautiful glass doors not only allow light into the indoor riding area even when closed but also can be opened to allow air flow to give the indoor area an outdoor feel. This new building is most likely a multi-purpose area that will help both the buyer and The Four 6’s Ranch. If you know Texas, it gets very hot in the summer, so this new building allows for comfort in both hot summer months and even the cooler fall and winters. The Four 6’s Ranch has a replacement cattle program in which a selection of heifers are available every year for sale to the public. 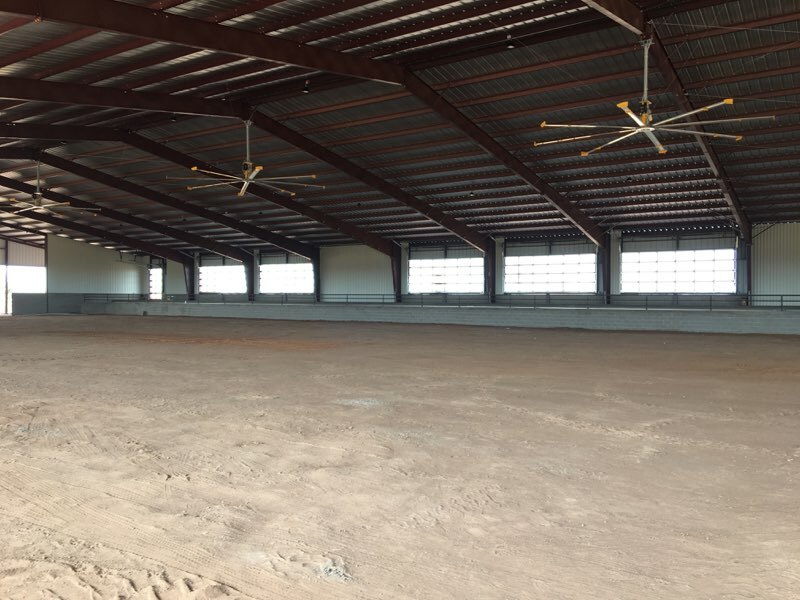 This new facility gives prospective buyers the option to see the cattle to get an idea of what they’ll be purchasing. It’s very important for buyers to get a good look at the cattle to make sure they’re in good condition. Things that a buyer would look at are the animal’s temperament, physical health and body condition. In a typical cattle sale or auction, the heifers are brought out in a sale barn and walked around the ring past the buyers, so each one can be seen. There’s typically an auctioneer and people will place bids on the cattle being auctioned. This facility will allow the Four 6666’s Ranch to do all of these things more effectively.